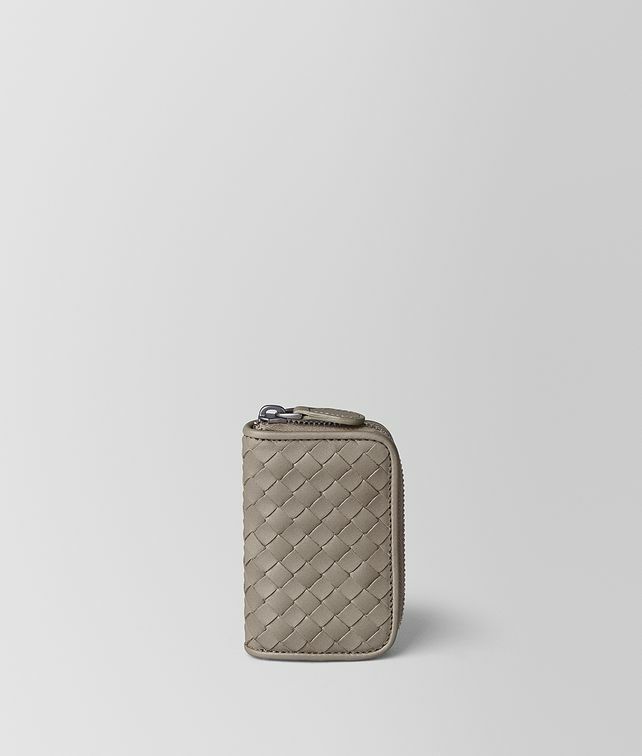 This compact zip-around coin purse is crafted in calf leather in signature intrecciato. Featuring three gusseted coin pockets and a leather zip pull. Width: 10.8 cm | 3.1"